Buildings are Mexico City’s number one source of greenhouse gas emissions and the focus of a new partnership to improve energy efficiency and create a more sustainable, competitive city. Photo by Alejandro Mejia Greene/Flickr. Buildings are an important part of the sustainability picture for Mexico City. At least 20 percent of the city’s total greenhouse gas emissions come from buildings, with growth in coming decades expected to increase energy demand. This means that improving energy use in buildings must be part of any comprehensive strategy aimed at helping the city hit its ambitious goal of decreasing greenhouse gas emissions by 30 percent by 2020. The good news is that Mexico City’s leaders are taking a bold step forward on building efficiency. On March 19, 2015, there was palpable excitement as 100 policymakers, businesspeople, and representatives of civil society gathered in Mexico City to develop a local partnership for improving building efficiency. Efficient buildings—those that use fewer resources but provide the same level of services—are more livable and comfortable, improving the health of occupants and the productivity of workers. For example, integrating energy efficient building principles into the design of two LEED certified 7-Eleven stores in Monterrey, Mexico reduced energy use by 20 percent, improved customer experience, and increased sales by 22 percent compared to non-LEED stores in the area. As in the case of these two stores, investing in efficient, sustainable buildings can help deliver tangible benefits to people in cities. One presenter in Mexico City even entreated the city to “view buildings as citizens,” as benefits to buildings are really benefits to people. Hosted by Mexico City’s Ministry of the Environment (SEDEMA), a recent workshop marked the kickoff of Building Efficiency Accelerator activities in Mexico City. Mexico City was one of five global cities to make an early commitment to participate in the Accelerator at the UN Climate Summit in September 2014. As a global center for business, Mexico City is becoming a significant market for green building certifications, particularly for high-profile office buildings occupied by multinational companies. The city is also benefiting from federal government action, including the development of norms for building energy performance, its UN sectoral commitment (NAMA) for sustainable housing, and growing national interest in energy efficiency as a strategy for creating sustainable and competitive cities. With its Climate Action Program, Mexico City is already a global leader in climate planning, and some of its past initiatives have touched on buildings. For instance, the city has developed tax incentive programs for sustainable buildings and green roofs. Still, policies and activities to improve building energy performance have not been comprehensive. With the launch of the Building Efficiency Accelerator in the city, this is starting to change. One clear, near-term opportunity to improve building efficiency in Mexico City is to implement existing federal building energy norms as part of the city’s building permitting and approvals processes. Such an effort would ensure that occupants of all new buildings, not just prominent office buildings, are ensured a minimum level of efficiency benefits. Beyond new construction, the city can improve its municipal buildings, helping to build confidence in the market and encourage local building owners to improve energy efficiency. The recent workshop explored innovative financing approaches for increasing efficiency in existing public buildings, which include guarantees, performance contracts, and modified procurement and budgeting rules. Building efficiency improvements can achieve significant savings with very little cost. 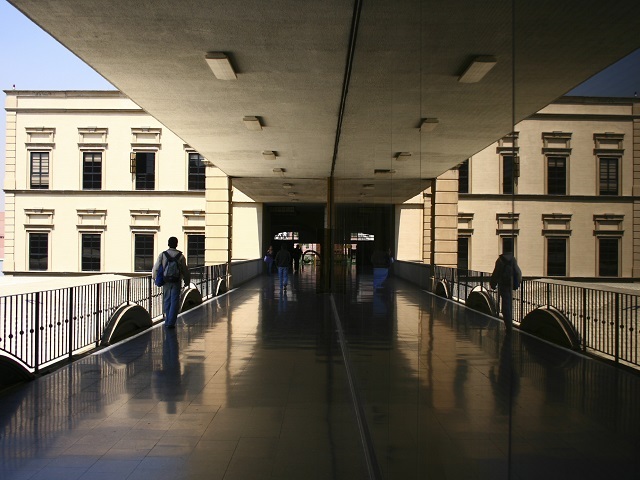 Projects like the energy improvements to Universidad Iberoamericana Ciudad de México provide an example of what Mexico City can do on a larger scale for public and institutional buildings in the city. Through its Green Campus Initiative, the university implemented a host of new technologies that helped it reduce energy consumption by 18.6 percent and avoid the emission of 1,000 metric tons of carbon dioxide per year. To support Mexico City’s Sustainable Energy for All commitments, partners in the Building Efficiency Accelerator in Mexico City will work with the city government over the coming months to develop an action plan, prioritize activities, and identify common goals. Together, they will capitalize on the opportunity to use buildings as a platform for improving quality of life. This emerging public-private partnership is on course to create better buildings and a more sustainable, competitive Mexico City. Learn more about the launch of the Building Efficiency Accelerator partnership in Mexico City and download presentations from the workshop here.